Who Is at Fault for My Truck Accident? If you’ve been injured by a commercial truck, call an SLC 18-wheeler wreck attorney from our office for help. Semi-trucks and other large commercial vehicles can cause some incredible damage to other drivers on the road. The size and weight of these vehicles is enough to total even the largest SUV and seriously injure the occupants. Highway travel is especially dangerous. Whether you’re on Interstate 15, Route 89, or Interstate 80, you won’t go far without seeing an 18-wheeler. If you’ve been injured by a commercial truck anywhere in the Salt Lake City area, you may be able to seek compensation for your injuries if someone else’s negligence played a role. Contact a Salt Lake City truck accident attorney from Craig Swapp & Associates. We can review your case to determine who was at a fault for the collision and how much compensation you’re owed. We’ll take care of the legal aspects of your case so you can focus on recovering from your truck crash-related injuries. A serious Salt Lake City truck accident will often lead to catastrophic injuries, which are incredibly expensive in a best-case scenario. Not all your losses will be of a medical nature. You can also suffer financially because you’re missing out on wages at work, you may never be able to return to work, and you may be paying in-home care or transportation costs. What is the process of filing a truck injury claim? Here’s the short version: We will investigate your truck accident and gather evidence, including police reports, witness statements, and medical documentation of your injury, to determine fault. We will file the claim paperwork and negotiate a settlement with the insurance companies. If they refuse to pay, we will pursue compensation in court. If the insurance companies offer a settlement that you believe is fair, then no. If they don’t agree to pay you fairly for your injury, then you might have to go to court if you want fair compensation for your Salt Lake City truck accident. Your lawyer will be by your side to argue on your behalf in the courtroom. What are the negligence laws in Utah? Utah operates under the concept of comparative negligence. The person found mostly responsible for a wreck can be held liable. As long as you are found less than 50 percent responsible for your trucking accident, you can seek damages. Any vehicle collision can lead to serious injuries, but semi-truck crashes almost always will. The first step to receiving fair compensation is to determine who was responsible for the crash. Your truck crash lawyer can investigate the incident and help you file a claim to recover the damages you’ve suffered. 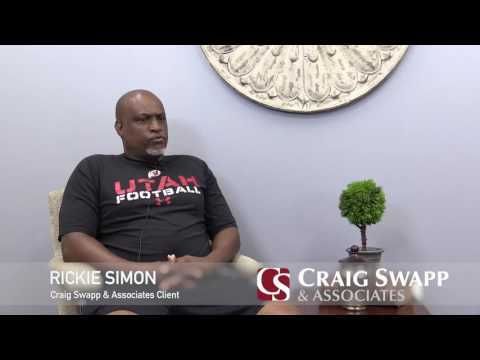 Working with a Salt Lake City truck accident lawyer from Craig Swapp & Associates will significantly increase your chance of achieving a positive resolution for your truck accident case. We offer a free consultation with an attorney to those who call 1-800-404-9000 or complete our online contact form, which you can find at the bottom of this page.